Cricket has been a large depot of entertainment. Cricketers get more attention than any topic of public significance. The game has the ability to place an ordinary player in the limelight with the help of a single incident on the field. We have seen many occasions were the foreign players are loved by the home side fans. With the outset of Twenty20 internationals, cricket witnessed a drastic change in the number of fans. Professional leagues added fuel to the fan base. Rather than being just an entertainment floor, cricket evolved as a profit-making platform. In this article, we are going to pick 11 players who entertained with the willow in the hand and with the ball in the 21st century. The list will comprise of four batsmen, four All-rounders, three bowlers, and a wicketkeeper. The selection will be based on different criteria's such as performance, entertainment and fan base. Aggression – a term that has escorted Virender Sehwag around like a shadow, even cursed him at times. A great contender under pressure, Viru was a vital cog in the Men in Blue squad. Viru is known for his courageous cricketing shots and hand-eye coordination. He loved to smash the balls over the fielders no matter which cricketing format is. Although Sehwag typecasted as a limited overs specialist, every cricket enthusiast will have a blow on seeing his Test stat. It's a no-brainer, Viru was fabulous for Team India and entertained us with his congenial shots. It's hard to think of an entertaining team without Gayle storm. 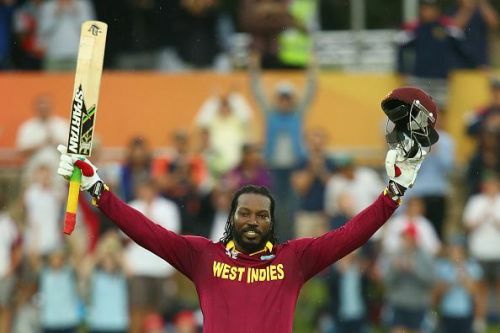 A hard hitter, Gayle was one of the pillars of West Indies when it comes to the limited overs cricket as he would badass bowlers with calm at the top of the order. Gayle remains an entertaining portion of cricket, both on the field and off the field. We have seen many occasions in professional leagues were Gayle was recruited to the teams just for increasing the fan base. In terms of etiquette, strike rate, scoring stat Gayle will be an unavoidable contender in the opening spot along with Virender Sehwag. What are the top four things that we don't see in cricket these days?